The Bob Marley mural painted as part of Brockley Max's Black Icons celebration. The proposed design for the new mural, by Dale Grimshaw. A Bob Marley mural that was lost during demolition for a new housing development could be revived, with the help of Londoners' donations. A crowdfunding campaign has been launched by the team behind Brockley Street Art Festival, who need to raise £5,000 to cover artist fees, materials and equipment for this and other planned murals. The painting will be the centrepiece of the 29 May-6 June event. Images of the musical legend, who would have celebrated his 70th birthday this year, have been a common sight in Brockley for decades. 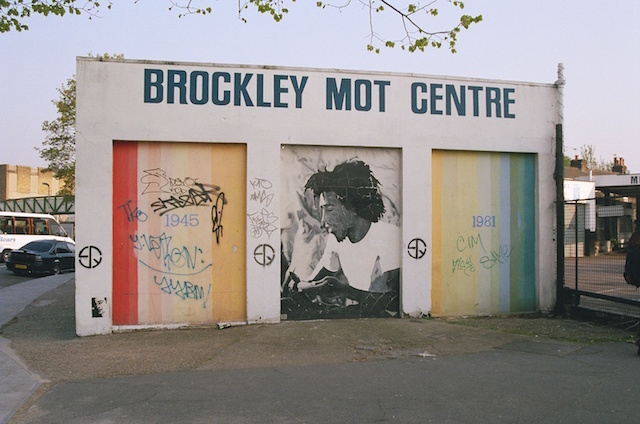 The original mural of the reggae icon was created over 40 years ago, before being replaced in 2005 as part of the community festival Brockley Max black icons celebration, but demolished in 2014 along with images of Maya Angelou and Jimi Hendrix. Street artist Dale Grimshaw has been lined-up to paint the new image of the reggae legend, just yards from the original mural site on a wall belonging to The Brockley Barge, a pub owned by JD Wetherspoon.